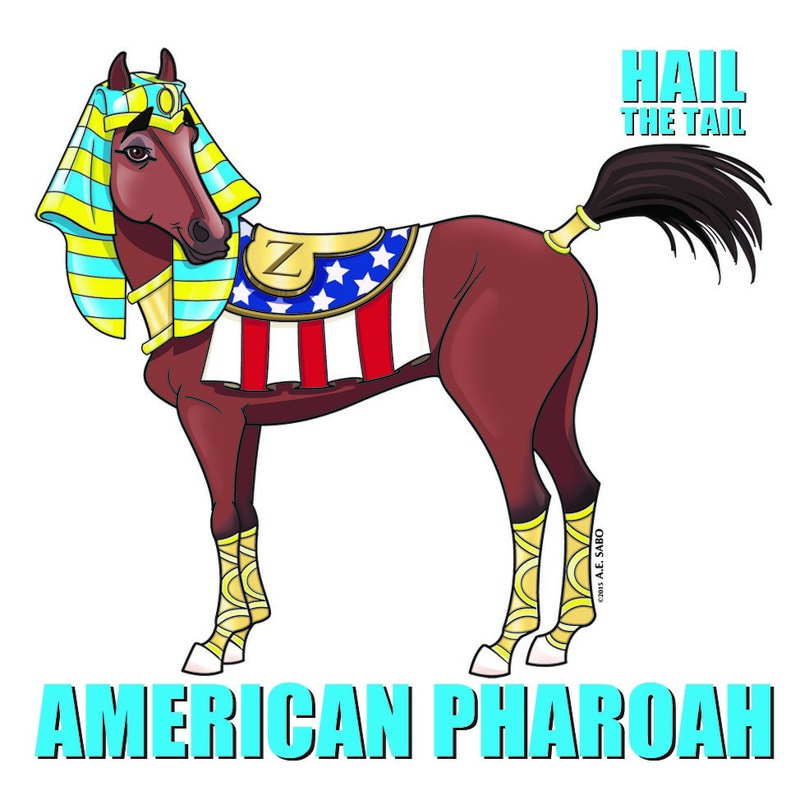 With the 2015 Kentucky Derby and Preakness champion, American Pharoah, one victory away from winning the Triple Crown, America’s Best Racing (ABR), a multi-media fan development and awareness-building platform initiated by The Jockey Club, today announced that it will be distributing more than 50,000 “Hail the Tail” tattoos and sharing a printable poster across social media channels. A copy of the image used for the tattoos and printable poster is below, and you can download the poster here: americasbestracing.net/media/9410379/PDFTattooPoster.pdf. The artwork was created by A.E. Sabo, Cartoonist, OFF THE PACE: The Horse Racing Cartoon. The tattoos will be shared with fans across North America and available at Belmont Park, Santa Anita Park, Arlington International, Keeneland, Churchill Downs, Pimlico, Woodbine, Gulfstream Park, the Kentucky Derby Museum, and William Hill US, among other locations. American Pharoah boasts a career record of six wins in seven starts and has earned $3,730,300. Last week, ABR released the popular music video “It’s All About the Tail” highlighting the race horse with an inordinately short tail. The music video can be viewed here: youtu.be/CaPuKyd6hCw.